The 32 MT / 104'12" FT Luxury Yacht comfortably accommodates 12 guests with her 2 Triple, 4 Double Cabins and is operated by 4 experienced and dedicated crew. 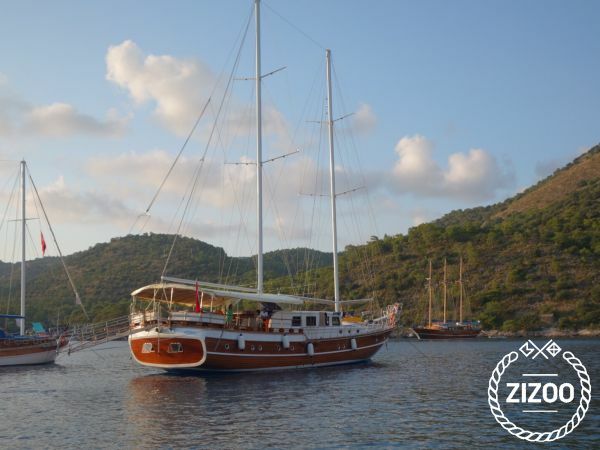 UfukEla is available for charter in Turkey and Greece in summer (May to October). toys and tenders include 0– contact us to know the full list.